Herbalife is a company founded in 1980 which sells Herbalife products for weight-loss and health through multi-level marketing (MLM) distributorships. The weight loss program called ShapeWorks™, and associated weight-loss products, are reviewed here. Also available from Herbalife distributors are targeted health/nutrition products (specifically for heart, digestion, stress, men, women, etc, as well as skin, hair, fragrances etc). They recently released a line of their best workout supplements called 24 Hour Fitness Support. Some have experienced liver toxicity with Herbalife products. src. The ShapeWorks™ program is available for weight loss or weight maintenance in several variations (‘quickstart’, ‘advanced‘, ‘ultimate’, and with each of these ‘protein plus’), at regular prices ranging from $US85 to $US210 (discounted prices are available). The program personalizes daily protein intake for your body’s individual needs, with the aim that you feel full, satisfied and energized as you lose your unwanted weight. Included is a seven-day recommended meal plan. The amount of weight-loss aimed for, and your physical make-up as well as your attitude to pushing towards your objective, will determine how soon you reach it and the extent that the ongoing cost of reordering supplies will mount up. The initial pack will last perhaps 11 to 15 days at the recommended rate of consumption. Herbalife Shake Mixes: come in a variety of flavors, and contain up to 20 essential vitamins and minerals as well as health-enhancing herbs and 9g of soy protein, as well as being a healthy source of fiber. comes in several flavors and includes selected herbs and green tea for its thermogenic and antioxidant properties. Herbalife Multivitamin Complex: A daily multivitamin and mineral supply, plus selected herbs, to maintain health of bones, skin, hair and the immune system, and promote overall well-being and long-term good health. Herbalife Cell Activator: Essential nutrients, plus selected botanicals, to improved nutrient absorption and support cellular energy production and stamina. Herbalife Protein Powder: a blend of unflavored whey and soy protein powder, that is mixed in shakes, soups and sauces to help maintain lean muscle mass and reduce hunger. Herbalife Cell U Loss®: A supplement to help reduce fluid accumulation in the body, shown for example in dimpled skin which may form when fatty tissues in certain parts of the body accumulate fluid and wastes. 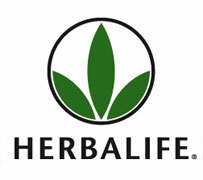 Herbalife Total Control®: A herbal enhancer that works at the cellular level to promote weight loss. Boosts fat-burning metabolism, and builds energy and soothes digestion. Contains green tea extract with yerba maté, ginger and other selected herbs. Herbalife Snack Defense™: A weight-management supplement that works all day to reduce the desire for sweets while lowering the between-meals ‘snacking’ urge. Sampler Pack of snack items: 4 Bars (different flavors), 4 Roasted Soy Nuts, 4 Beverage Mix packets (2 flavors), 2 Creamy Chicken Soup. Individuals weighing over 100Kg/220pounds or wanting to lose 23Kg/50pounds or more may add one extra tablespoon of Protein Powder to their shakes. Also, men may have two snacks a day if hungry and weight-loss goals permit. Replace 1 meal a day (instead of 2) to just maintain your weight. Take advantage of all available flavors of shake and drink mixes. Prepare marinade by combining the first four ingredients in a bowl. Then pour marinade over snapper, flesh side down, and let set for 15 minutes. Remove snapper from marinade and pat dry. Season snapper with salt and pepper. Carefully transfer snapper with a metal spatula to a platter and remove skin before serving. Serve with steamed asparagus tossed with lemon and garlic. *NOTE: Alternatively, snapper may be grilled in a hot, well-seasoned grill pan with a lid over moderate heat. With up to 30 meals in every ShapeWorks™ meal replacement container, the shakes can be used to make lots of variations, for drinks and for snacks (muffins, cookies, bars and pies). Here are two examples. Mix Meal Replacement and milk together. Add pudding and peanut butter mix well and pour into crust. Add fat free, non-dairy whipped topping. Is ShapeWorks™ suitable for everyone? Weight loss programs like this, while effective for many, are not necessarily suitable for all. Although the program supplies at least 1000 calories daily and is nutritionally complete, there is a heavy reliance on Herbalife powders and pills. The suggested rate of weight loss (up to 3.5Kg/7½ pounds weekly) is too high for most people to sustain. In addition, reliance on a specific product does not teach healthy, lifelong eating habits. Maintaining a successful healthy lifestyle is a long-term thing that extends beyond the program itself, so you need to continue lifelong habits of good nutrition, fitness, and exercise. The Herbalife ShapeWorks Weight Loss Program may become costly when adding the ongoing additional expenses of meal replacement shakes and supplements to your initial outlay to join the program of your choice. Conversely, making a large financial commitment might help to stay motivated. I started 6 days ago and have been reading all reviews about the products i am on. not always good i must say. i am using the ultimate weight loss which entails u to drink like 7 pills twice a day and then 5 pills at night. i am a bit worried with all that pills. after being on it for 4 days i started getting the flu. it is now day 6 and i am still not feeling better. i read that these products of herbalife can mess with ur immune system. is there anyone who can tell me if they went through the same thing like me by getting sick after a few days on the products? i have lost like 4lbs though without going to the gym which i will do when i get better. I have been on the program for 3 weeks. I have lost 4 lbs. I love the shakes. It is a bit pricey and I didn’t do so hot the first week. I have been exercising more weather permitting in this area. I’m not really into the tea much. I just have a shake for breakfast a shake for lunch, a lean cuisine for dinner and some snacks like beef jerky or laughing cow cheese or there are these jello cubes you can buy that look like knox blocks. They have 45 calories for the whole bag and nine grams of protein. I like this program because at least you know the rules. You can’t have the shakes and then have krispy kreme donuts for dinner. Also, you have to limit your alcohol consumption or it won’t work either as I like my beer. I starting using Herbal life like my life depended on it. I was so extremely faithful to the product I lost 10lbs a month for 3 months and was then put in the hospital will chills, fever and lose of consciousness. I told them I was taking Herbal life and that my day to day food regimen that my distributor told me to do was……a shake for Breakfast with my tea and pill, NO SNACK, a shake for Lunch with my tea and pills, NO SNACK and then an iceberg lettuce salad with absolutely NOTHING on it for supper with Tea and my pills. She told me I was NOT losing weight fast enough so she wan’t allowing me any snacks or an actual meal for supper. That is all I ate for 3 months. Absolutely no cheating, I wanted to lose weight so badly I rode out every hunger pain with a glass of Raspberry tea and every temptation for chocolate or pasta with yet another cup of tea. I was miserable, absolutely miserable. Lake of energy, couldn’t even get out with my children and play. The doctors told me to STOP the diet I was on immediately. I’m not sure if my distributor was completely and ONLY after money and not my health or what. If you plan on doing this so called diet plan, please, please, please be very careful. This plan I was told, ruined my metabolism. Are the products & plan for weight loss & weight gain are the same? 1. Not following and taking the products as directed. There is a plan to follow and a reason to do so! 2. Not being truthful to your coach or to yourself about “cheating” on the plan. For those that also want to gain weight – this program does work BUT sneha…you can not expect to gain the weight that you need in one month! It takes as much work to gain weight as it does to lose. My goal is to help has many people that I can to be healthy and live healthy. i lost 3.2 kg for first month…..but now 10 days passed but no further weight loss while following the same diet and herbalife products…..could u tell me why is it so and what should i do? plz tell me what is use of hebalife? is it use or not? i am very poor.buz i can invest the money on herbalife prodects one time only.again and again i cant buy this.